We’re accustomed to seeing plenty of abnormally modified cars, hence that whole Car Mod Atrocities thing we’ve been doing for almost four years. Sometimes we across something for sale that’s, well, debatable. Craigslist is full of stuff like this – a four-door Dodge Challenger with rear gullwing doors. And now someone is trying it, supposedly the only one of its kind. No, it’s not the Charger. Let’s get that straight. The seller, who thinks this thing is worthy $95,000 (or best offer), performed some major body modifications here by stretching the coupe and adding what they call "automatic jet-doors." We imagine the 6.4-liter Hemi V8 remains stock, but that’s not confirmed in the Craigslist ad. 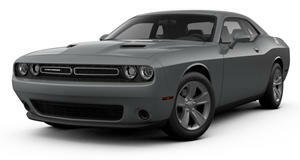 We do know it started life out as a 2009 Challenger with a manual transmission, and sometime later this happened. We’re all for creativity but sometimes you gotta wonder whether a custom job like this is even necessary. It just looks, well, weird. For what it’s worth, the rear seat looks fairly spacious, but we still don’t really see the point. Then again, its creators, who supposedly hail from Florida (where else in this case?) also did a similar modification job to another Challenger, this time turning it into a gullwinged limo. OK, so that one is pretty cool, but doesn’t seem to be for sale. But $95k for the one that is? Wouldn't be surprised to learn if that "best offer" is considerably lower.